Before the weekend was even over everyone was talking about The Defenders. Netflix’s latest addition to the MCU, and culmination of all its Marvel series, had big expectations. Did it live up to the bar set by the original shows? Or was it a downward spiral, like its immediate predecessor? We’ll let several of our top reviewers and critics discuss their experiences. 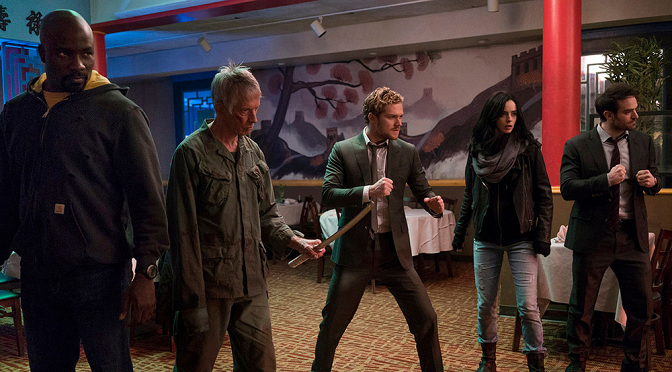 The Defenders helped redeem the MCU from the tragedy that was Iron Fist. I’m not saying it was perfect; there were some notable flaws. The good outweighed the bad overall, however, and I watched each episode with anticipation rather than dread. Let’s not beat around the bush: the fight choreography, performance, and editing in Iron Fist were atrocious. The producers dropped the questionably-experienced Brett Chan in favor of Matt Mullins, known for his work on Agents of S.H.I.E.L.D. and the change paid off. I also appreciated that we finally had answers to who The Hand was and what they were after. Daredevil set the mystery of The Hand up only to have Iron Fist ruin the illusion. The Defenders explained much and made me appreciate characters like Madame Gao even more. The show did suffer from bad pacing; the experience was a roller coaster ride of genres. Crime and Mystery? Action and Martial Arts? Drama? Even the ending was a bit lethargic and weak, but at least the ride was enjoyable at its peaks. While Luke Cage and Jessica Jones remained the MVPs of acting and script, Danny Rand remained weak in performance and character. Even when they had opportunities, such as Luke confronting Danny about his privilege, that exploration lasted for one episode… and was gone. Despite these flaws, plus several plot holes, The Defenders remains a solid addition to the MCU. My hope is that new seasons afterward will build up from this point, rather than sink back to the level of Iron Fist. I give The Defenders 4 out of 5 Black Skies. The Defenders have united, finally, and in the process gave us some new insights into some of our favorite characters as well as letting us see how everyone is recovering from the events of their own series. We have Jessica, still living in the bottle, refusing the call despite the combined efforts of Malcolm and Trish. Jessica’s a walking open wound but sometimes the best way to get past trauma is to help someone else. Luke’s already learned that lesson and, despite everything, is ready to throw himself head first back into the hero game (even if he won’t call it that). His enthusiasm is inspiring to Claire and Misty but at the same time they both advise caution: one from a financial perspective and one from a legal view. Watching Claire sow the seeds of Heroes For Hire is both logical and organic: frankly unless Danny backs the entire crew going forward (more on that later) they need to be able to make money and Claire knows firsthand how financially and professionally destructive being a hero, or even the ally of a hero, can be. As for Matt he’s hung up his evening wear while fully embracing his day job, the problem is, as Claire and Elektra have known for some time Matt is Daredevil in the same way that Tony is Iron Man. They are one and the same and until he reconciles those pieces of himself and truly embraces both sides he’ll always be torn, always unsatisfied with his life, no matter how much good he does, in either of his suits. Unfortunately, the only person who fully embraced the Daredevil side is Elektra and she, like Colleen, has her own issues. This show did a great deal to give both of these characters an agency that neither of them had in their intros on Daredevil and Iron Fist respectively. These two, instead of continuing to be victims of those who turned them into killers or see them as monsters, take the fight to them and in doing so become who they are meant to be, good, bad and everything in between. Overall this season was the bomb diggity, making me look forward to the return of all the separate series as well as the next time our gang gets called upon to save New York. Four Dragons out of Five. My PCU colleges have summed up the what I thought about Defenders perfectly addressing its flaws and its strengths. It’s an enjoyable roller coaster ride of a series and made for binging. I was engaged throughout I laughed, I cried, and my heart stopped in one or two places. This did make up for the dumpster fire that was Iron Fist. Defenders helped me see why Iron Fist didn’t work. Throughout the other MCU/Netflix series it was clear why Daredevil, Jessica Jones and Luke Cage were using their abilities to help others. Danny doesn’t understand his purpose, so the viewer was left confused. While Danny matured a little and got control over his ability during this series, he’s still annoying and arrogant, hopefully these flaws will be cleared up the next time we see him. The writing of Defenders is stellar. 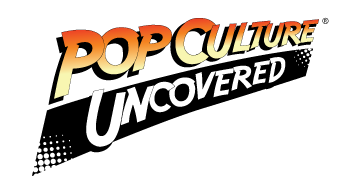 As previously stated, they took the time to clear up some holes left in previous MCU stories. The writer’s shined in several points the fact. The continuation of Madam Gao’s story and the introduction of additional members of leadership was seamless. One character didn’t speak a word of English but through the conversations he engaged it was clear what he was saying. My last gush on the writing was the subtle ways they revealed Alexandria’s age. It came out in touches, places she’s been that no longer exist, people she’s met etc. Since I’ve brought up Alexandria, Sigourney Weaver as the villain — outstanding casting. Her stomach must be full since she is still picking the scenery out of her teeth. Her performance is understated and powerful. Every time she appeared on screen she controlled it. I would love to see more of her in that role. A friend on Facebook posted, “Do I have to watch the preceding MCU shows to enjoy Defenders?” In my opinion, yes. Defenders is entertaining by itself however it refers to the others shows and resolves some issues that were left hanging in the other shows that can only be caught if you have seen the productions.